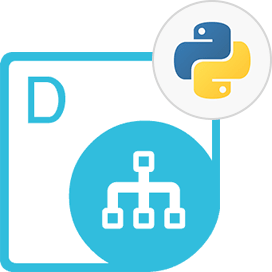 Aspose.Diagram Cloud SDK for Python is an easy-to-use, high-performance and well-documented Cloud SDK empowering developers to create, manipulate & convert native Visio file formats within Python applications. 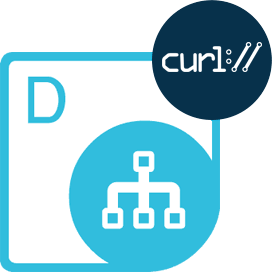 It gives a complete freedom of platform, allowing a higher level of abstraction, so that you don not need to know the REST API to use this SDK for creation, manipulation & conversion of Visio Diagrams in Cloud. All these manipulation operations can be performed without having Microsoft Visio installed on system. 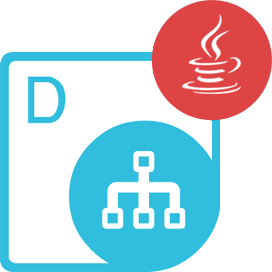 From architecture stand point, the SDK is extensible, easy to use, compact and provides all primary functionalities, and developers can perform all common tasks with fewer code lines. In order to get started with this SDK, no software download is required. All you need to do is, create an account at Aspose for Cloud and get your application information. Once you have the App SID & Key, you are ready to give a try to Aspose.Diagram Cloud SDK for Python. Aspose.Diagram Cloud SDK for Python - only requires Python and can be used on major platforms. Aspose.Diagram Cloud SDK for Python - supports popular Visio file formats. 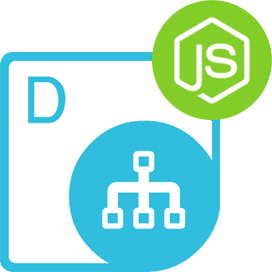 Aspose.Diagram Cloud SDK for Python is fully capable of reading Microsoft Visio files in native VSD/VSDX format as well as other popular Visio formats including VSS, VST, VSX, VTX, VDW, VDX, VSSX, VSTX, VSDM, VSSM and VSTM. The contents of the diagram can then be manipulated using Aspose.Diagram Cloud SDK for Python. Once the objects are manipulated, the file can then be saved in supported output formats. 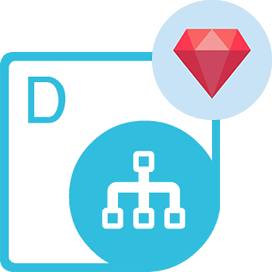 Aspose.Diagram Cloud SDK for Python offers the features to easily read the data of the Visio diagram such as Document Properties, Pages, Masters, Shapes, Images, Connects, Solution XML, Comments, Hyperlinks, StyleSheet, Layers, User-defined cells and so on. Once these objects are manipulated through Aspose.Diagram Cloud SDK for Python, the result can be saved in same or other supported formats. When using Aspose.Diagram Cloud SDK for Python, you get the features to group shapes, pictures, or other objects. Grouping allows you to rotate, flip, move, or resize all shapes or objects at the same time, as though they were a single shape or object.. In a collaborative work environment, the Visio Diagrams are shared on regular basis and in order to view these files, one needs to install Microsoft Visio or other tool that could load Visio specific file formats. Other approaches include the conversion of Visio diagrams to universal formats such as PDF, PDF/A, HTML & raster image formats including BMP, JPEG, PNG, TIFF, SVG and EMF. All this conversion do not require special programs to be installed on the machine. Therefore in order to accomplish such requirements, Aspose.Diagram Cloud SDK for Python offers its own conversion engine, which works independently of any other software, and can convert any supported Visio file format to any of the supported format with just a few lines of code. The conversion process is quick yet reliable, offering you the high fidelity results regardless of the resultant file format. Aspose.Diagram Cloud SDK for Python is a perfect Microsoft Office Visio automation alternative in terms of supported features, security, stability, scalability, speed and price. It makes the use of advanced functionality of Visio Services to manipulate Visio documents in the Cloud. The SDK is extensible, easy to use, compact and provides common functionalities, so that developers have to write less code when performing common tasks. Why Aspose.Diagram Cloud SDK for Python ?